OUR AWARD WINNING SPONSORS. Please support them. Links & Tee’s in Addison on Lake Street, and the Buffalo Grove Golf & Sports Center on Old McHenry Rd. in Buffalo Grove. BY: RORY SPEARS EDITOR AND SR. WRITER-VISITING SHINNECOCK HILLS GC. No I’m not there today, but wish I was. I’m sure it’s great day for this time of year out on Long Island. But my fall stop there was very enjoyable. 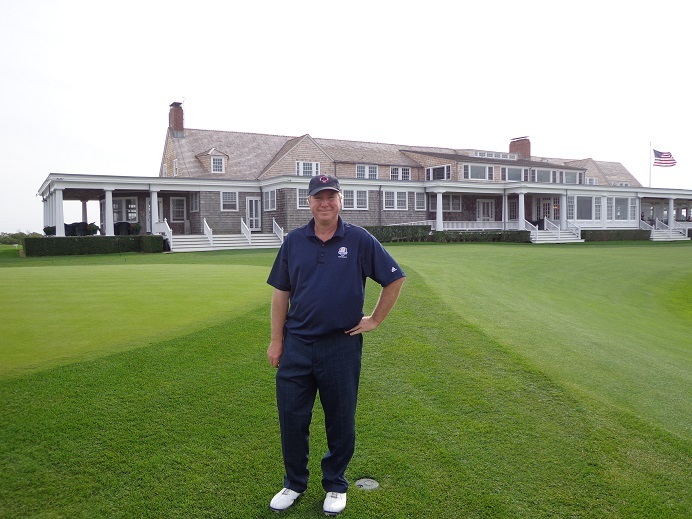 The club will be a great host for the 2018 U.S.Open.The history there is really something, and Shinnecock Hills will be one of our “Great Golf on a Cold Day” features coming up this winter. DID YOU KNOW…Shinnecock Hills really never closes, in fact if the weather there is as nice as it is here today, there are probably a few members out playing. The clubhouse is closed, but pins are in and the spirit of the game lives on. CHRISTMAS IS OVER but it’s not too late for golf gift buying, especially if you got a gift card for a golf store like I did. Shopping time, special thanks to my brother Reid Spears for that one. WHAT IS KIND OF NEAT is that we did have a rare green Christmas and today the temperature is closing in on 50. Tomorrow Saturday is supposed to be a little warmer, and what I’m getting is emails that some courses are open if your ready to go out and play. In fact the Bull at Pinehurst Farms, the Jack Nicklaus design just south of Kohler in Wisconsin is open today for golf. Stop off and play in route to the Packers and Lions Sunday in Green Bay, should you be going that way. SOME OPEN COURSES around here include Settlers Hill in Geneva, Rob Roy in Prospect Hts., Cog Hill courses 1 & 3 in Lemont to name a few. In fact I would check on Maple Meadows in Addison, that might be open as well. I would check out Dupagegolf.com. SPEAKING OF COG HILL..the Eskimo Open is coming up on Jan. 4th and if this weather holds out, it might worth putting on your calendar. Hey, there won’t be any Bears game that day. The record for players was set only a few years back in 2012, when we had the warm spring. Maybe this year that record could fall. DID YOU GET NEW CLUBS, okay if so you should go hit them. Either outside or inside doesn’t matter, but try them out. Sooner the better, if you have today off why not go hit them. Time to go shop.I hope you had a great Christmas, and the golfing Santa’s in your world got you what you wanted.